He is standing in front of a big-screen television, game controller in hand. His parents, Dr. Stanley F. Nelson, a UCLA professor of human genetics and a former pediatric oncologist, and M. Carrie Miceli, a UCLA professor of microbiology, immunology and molecular genetics, try to psyche themselves up for a game of “Just Dance.” Dylan and his brother, Calvin, a junior in college, are ready to bust a move. “I like to dance,” said Dylan, who has a mop of thick brown hair, dimples and an irrepressibly joyful attitude. “But I don’t like to dance in public. I like pop, rock ’n’ roll — ’80s — hip hop, rap and electric.” Drs. Nelson and Miceli sigh, get up from the couch and join in the dance. There’s no way they’re getting out of it. To say these two parents would do anything for their funny and exuberant son is an understatement. Besides dancing, Nelson and Miceli have rerouted their careers to help beat back a disease that afflicts Dylan and one of every 3,500 boys worldwide.They're engaged in a very personal fight against a lethal genetic illness. 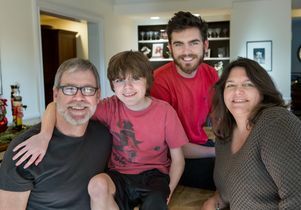 An because of their efforts, their Center for Duchenne Muscular Dystrophy (DMD) at UCLA is leading the effort to find treatments and extend lives — including that of their son. 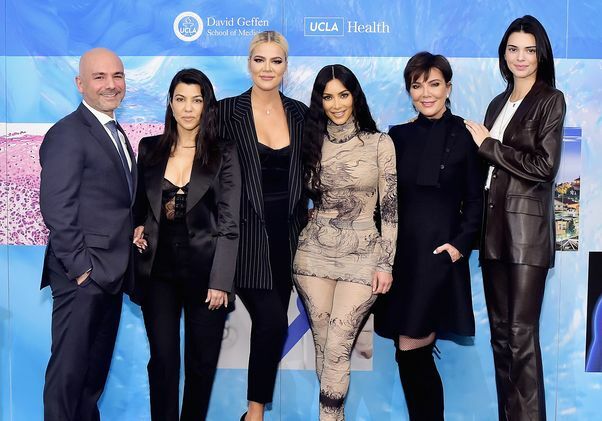 The Center for Duchenne Muscular Dystrophy at UCLA, which the couple (above) co-directs with Melissa Spencer, recently held a celebrity poker tournament and silent auction that raised $650,000. 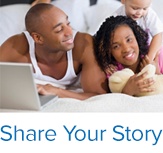 As a toddler, Dylan was diagnosed with DMD, the most common fatal genetic disease of childhood. Mutations in the Duchenne gene, which is on the X chromosome (thus affecting only boys), impair production of the protein dystrophin, which is required for healthy muscle function. 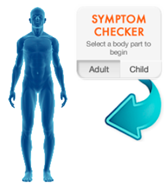 Boys with Duchenne typically lose their ability to walk by adolescence and go on to experience respiratory and cardiac failure. Life expectancy is about 25 years of age. But things are changing in the world of those affected by Duchenne. 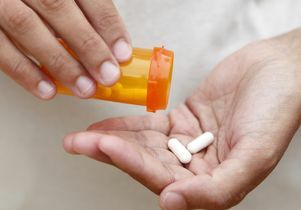 The first prescription medication specifically to treat the disease may be approved by the U.S. Food and Drug Administration (FDA) this year. Other novel therapies are in the works. In Southern California, thanks to Nelson, Miceli and their colleagues at the Center for Duchenne Muscular Dystrophy, boys with Duchenne now have access to state-of-the-art care and can enroll in one of several promising clinical trials. 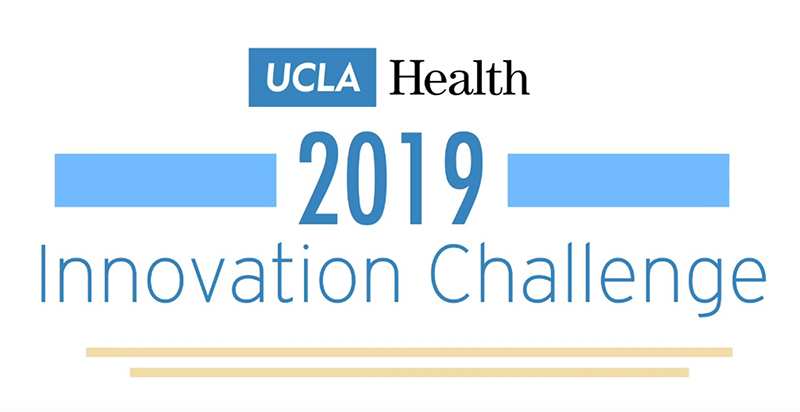 Nelson and Miceli have not only emerged as leading scientists in the field, they also have rallied a far-reaching network of other UCLA scientists working in 13 labs on campus, students and community members to work on all aspects of the disease. That’s where Dylan, other local boys with Duchenne and their families come in. As it turns out, love has a place in science. For every small success, there are seemingly endless failures. Questions overwhelm answers. Months can go by without a single sign of progress. Researchers cannot afford to get too emotionally invested in the day-to-day stuff. That's the tricky balance required of Nelson and Miceli. Even before he was diagnosed, they suspected Dylan had the disease. His gait was unusual, and he tended to walk on his toes. Still, the diagnosis was devastating. The couple made an appointment to speak with Spencer. The notebook revealed that, since the gene for the disease had been discovered in 1986, important research had been completed that was poised for translation into clinical use. However, in many clinics, very little had changed to improve the boys’ quality of life or life expectancy. 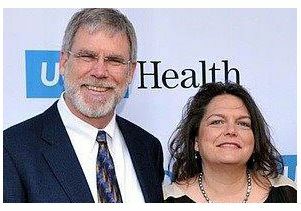 The Center for Duchenne Muscular Dystrophy at UCLA was established in 2006 to build a multi-departmental program for performing basic research and translating that research into clinical care. The center also worked to establish a multidisciplinary care clinic to serve for an estimated 600 Southern California boys with the disease. 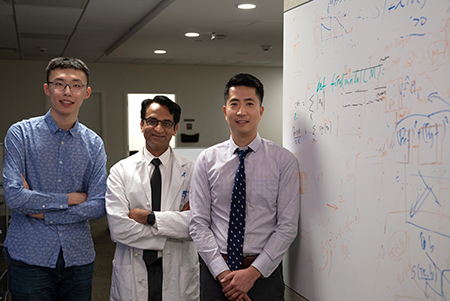 With support from the center, Dr. Perry Shieh, associate professor of neurology and neuromuscular medicine, and his colleagues established the Pediatric Neuromuscular Clinic. 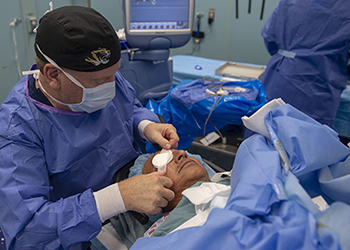 Before the clinic’s opening, many patients traveled out of state to receive specialized care. Not so today. 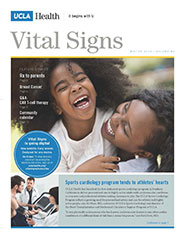 “It’s a fully coordinated clinic,” said Dr. Nancy Halnon, associate professor of pediatric cardiology, the center’s clinical liaison and a leading physician for Duchenne care. The clinic offers extra services, such as psychosocial care, that helps patients and families understand and cope with the disease. Patients can also opt for enrollment in Duchenne clinical trials, the number of which has exploded in recent years. You can read a complete version of this story in U Magazine.